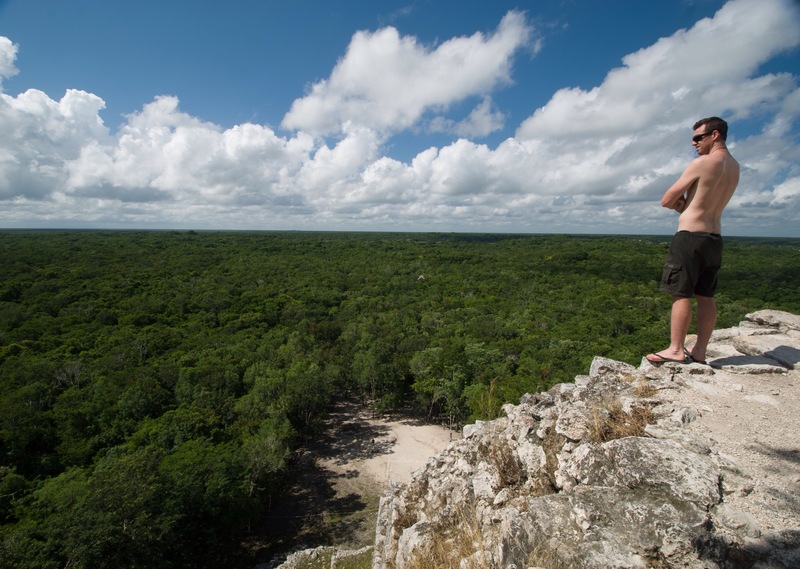 We’re winding up our time in Mexico now and we leave behind a relatively small town called Tulum. Relatively small in that it is in close proximity to Cancun, Playa Del Carmen and Cosumel, far more noted tourist destinations. We came for a few nights and stayed over a week, it turned out to be one of those places that feels like it hasn’t been found yet, not by the masses at least. In some ways it feels a lot like the more touristy places act as a sort of filter, keeping the trash largely clear from the places we want to go, a blessing really. 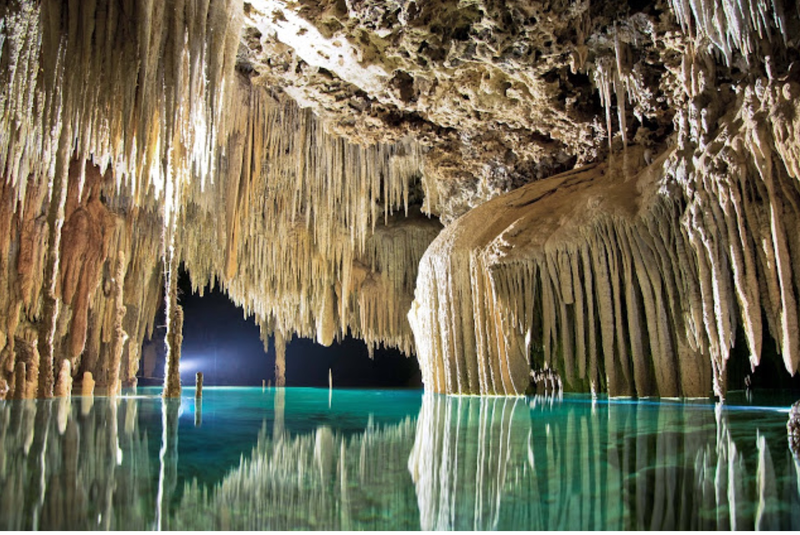 So we’re talking about Tulum and it can’t be a conversation about Tulum without a mention of Cenotes. We dived more than we planned here, partly because we had an opportunity to do it cheaply but mostly because it feel like a true revelation. Whenever you travel you hope that you find something that completely knocks your socks off, forces a wide-eyed stare of wonder, an involuntary exhale. And that’s exactly what this is. We had always heard there was good diving around here so it’s not a complete surprise in that respect. Having such a highlight that will be hard to top this year so early on is a surprise. And to find this sort of wonder, the kind that rightly has an ‘only here in the world’ tag in an unaffected cruisy town is the travellers dream. We ate ourselves full regularly for about $10AUD (that’s both of us) on delicious local food, found our best coffee in Mexico and enjoyed history, beaches and explored new frontiers all in one. And to have most of the pox tourist trash caught in Cancun and Playa, a true gem is what we have been blessed with. Again we had no photography on our dives so I’ll plagiarise here. 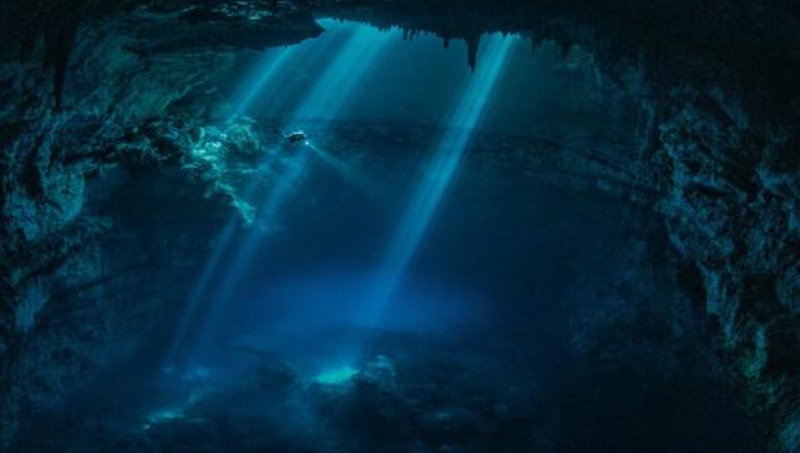 We dived ‘The Pit’ and ‘Dos Ojos’ and we can’t believe they were better than the first two!!! I won’t attempt to describe this, pictures do it all, hopefully you see a slice not what we felt. And true to the running theme here we took a small day trip to Coba, an adjacent town. We’re pretty done with ruins but we it’s apparently the tallest Mayan pyramid and perches you high atop the jungle canopy. Annoyingly, we of course have to see this… The ruins were indeed pretty cool, coupled with the beautiful bike ride through the jungle pathways, it was a beautiful day. 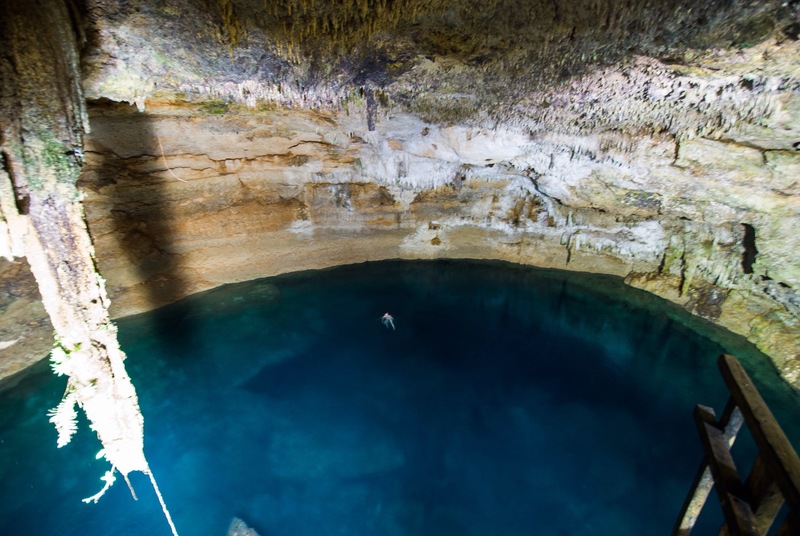 But again a recurring theme popped up, apparently there’s swimming Cenotes here. And true to form, the majesty and amazement of the Mayan ruins gets casually swept aside by a natural occurrence. The serendipitous quality of natural discoveries always seems to outshine their relatively contrived and know man-made counterparts, however great they may be. These Cenotes are very tight, a spiral stairway feeds you through a tight cleft in the earth, into darkness you go… BOOM It hits you in the face. That wide eyed wonder usually reserved for small children at a circus seems so much more profound as an adult, and so fleeting. The cavern opened up is approximately 40m across and less than 10m under the ground. Filled with the typically crystal clear water it’s truly a magical experience. And just to top it off the tight staircase that takes you all the way to the water has intermittent diving platforms, the highest 8m or so. Safe to say the stairs were only taken one-way. So a good early contender for highlight and place of the trip. Were looking forward to knocking these early front runners off the perch.